Emery and his younger brother Frank saw the move to their grandfather’s farm as a fresh start, a new beginning, a chance to leave their stale and cramped existence in Red Hook behind. Summer brought new and exciting adventures, new experiences, and the freedom to be anything they wanted. But summer never lasts forever. Emery and Frank soon learn that they aren’t alone out on the farm, that the once-vibrant forest has become a much darker place, one hiding secrets they could never imagine. As the winter storms bury them in snow, the brothers are forced to not only confront the real-life horrors of isolation, but also those that are waiting in the woods beyond. 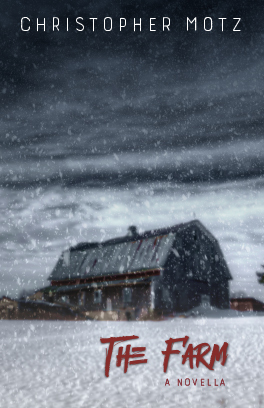 “The Farm” shows us that solitude has its disadvantages, and there are things worse than loneliness hiding out there in the snow… things with teeth.